Welcome to the UConn Internship & Co-Op Fair registration site! 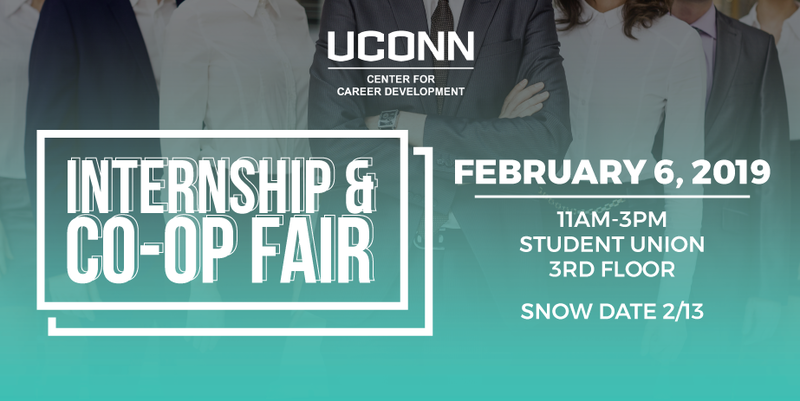 The UConn Internship & Co-Op Fair will be held on February 6, 2019, 11 a.m. to 3 p.m. in the UConn Student Union, third-floor. 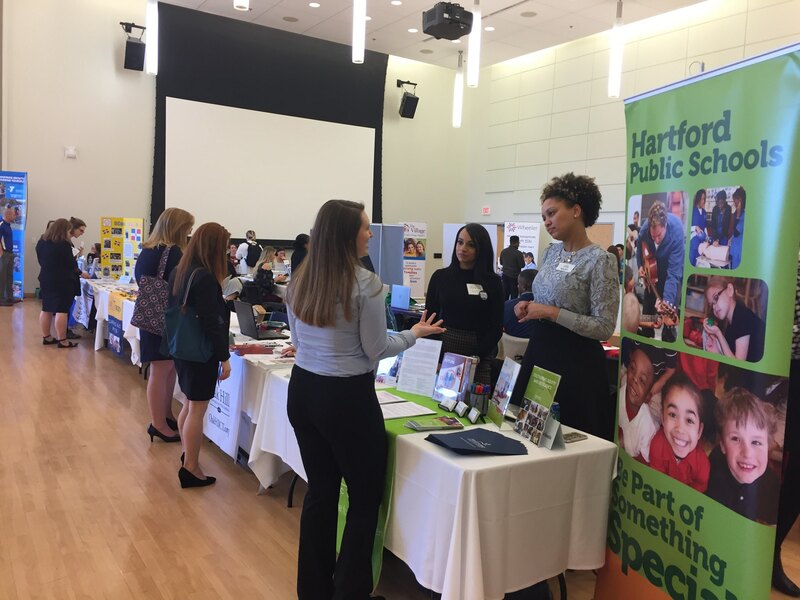 Engage with students looking for internship and co-op opportunities. The registration fee is $300. Registration will be on a first-come, first-served basis based on industry until the fair is full. UConn Center for Career Development reserves the right to accept or deny registration requests. Fair space will consist of one 6-foot table with a tablecloth. There is approximately 2-3' behind each table. Due to space limitations, there will be no pipe and drape. It is imperative that you not go over your allotted table space. Please plan accordingly and know that you may not be able to use large displays or signs at your table. Tables are to be assembled between 9:30 a.m. and 10:45 a.m. with display breakdown after the fair is over. As the event is advertised to end at 3 p.m., it is important that your representative stay through the full program. Lunch and parking is provided for up to four individuals; additional representatives cost an extra $20 per person and must be paid for during the registration process. The snow date for this event is scheduled for Wednesday, February 13, 2019. In case of inclement weather on February 6, the person who registered will receive notification regarding fair status. Please note, refunds will not be granted in the event of rescheduling to the snow day. PLEASE CLICK ON THE "REGISTRATION" BUTTON TO REGISTER NOW.